Lead researcher Prof Robin Ali told the BBC News website: “This is a real proof of concept that photoreceptors can be transplanted from an embryonic stem cells source and it give us a route map to now do this in humans. Prof Chris Mason, from University College London, told the BBC: “I think they have made a major step forward here, but the efficiency is still too low for clinical uses. 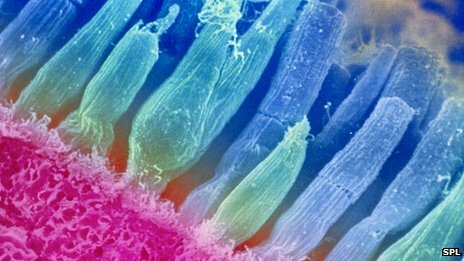 Dr Marcelo Rivolta, from the University of Sheffield, said the study was a “huge leap” forward for treating blindness and could have implications across stem cell research.